Youth America Grand Prix (YAGP) is an organization that supports and seeks to develop dancers ages 9-19 by holding annual workshops, scholarship auditions, and master classes in 25 U.S. cities and 8 international locations. 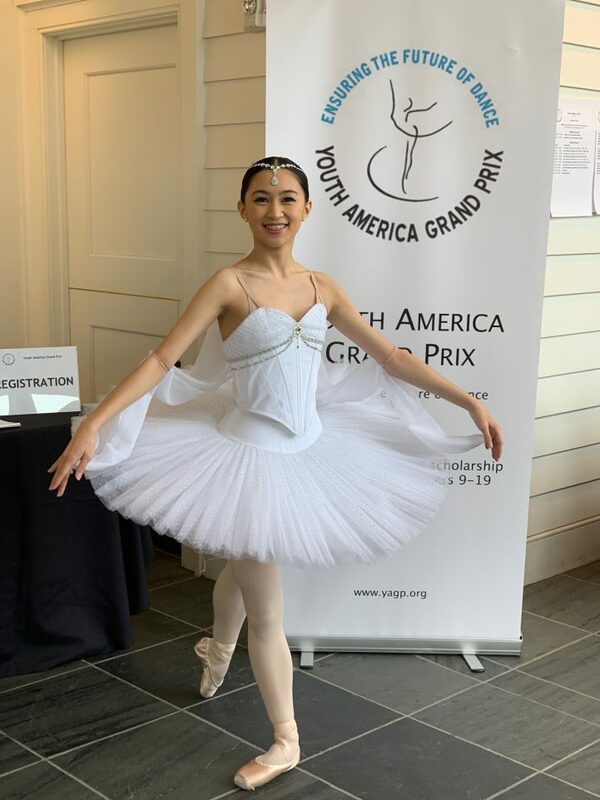 During the YAGP event held March 2019 in Philadelphia, PA, Adagio Ballet Conservatory dancers performed in the following categories: Junior Classical Ballet Variation Solo, Junior Contemporary Solo, and Small Ballet Ensemble. 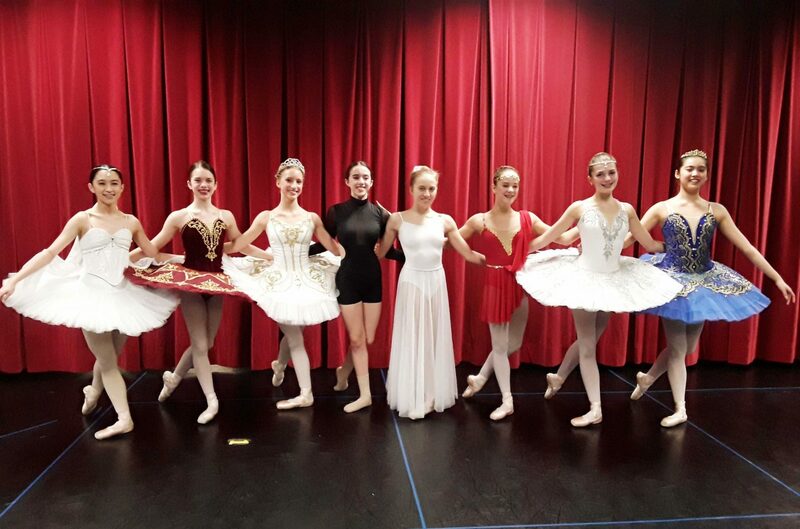 The Adagio Ballet Conservatory dancers who attended YAGP had 6 months of rehearsal to prepare for their performances. For the Ballet Ensemble, Evelina Petkova choreographed an original piece called, “MIST,” for 9 Ballet Conservatory students. During weekly hour-long rehearsals, the dancers were dedicated to learning the piece and refining their technique month by month. Once in Philadelphia for the YAGP event in March, Natalya especially enjoyed the Master Classes, specifically Contemporary with an instructor who advised them to, “spell a word with your body,” when improvising. Carolina’s favorite Master Class was Variations with former New York City Ballet soloist, Kathryn Morgan, where they, “learned the Emeralds Variation from the ballet Jewels, which was really fun and new to me, since I had never danced a [George] Balanchine piece. I loved the variation and I also loved the whole dynamic of the class, which was very positive and encouraging. The most difficult part about this class was getting used to the Balanchine style.” Even though this was a challenge for Carolina she relished in trying something new and stepping outside of her comfort zone. During the YAGP performances, a panel of judges scored soloists and ensembles out of 100 points. In the beginning, Natayla and Carolina both felt a little bit nervous to perform, but with the positive environment and encouragement of their families and coaches, all our dancers were comfortable dancing on the stage. The Adagio ensemble was placed in the Top 12 and Carolina placed in the top 24 for Junior Classical Ballet Soloists along with another Adagio dancer Celeste Wetmore. Congratulations Adagio Ballet YAGP performers!